The conviction was later quashed and overturned at a retrial. A spokesman for the law firm Brabners said Mr Evans' case had been "entirely without merit". 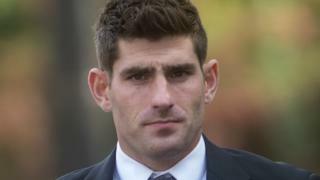 The spokesman for Brabners said: "We are glad that Ched Evans has agreed not to pursue this case, which we believe was entirely without merit. "Brabners put forward a strong defence of Mr Evans claim following a thorough process and we were prepared to vigorously defend our handling of the case."